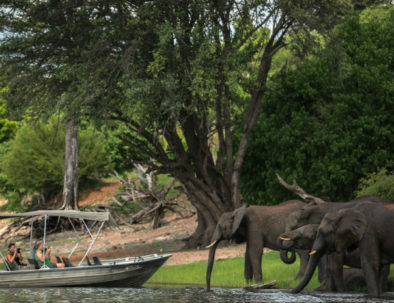 Visit the famous Chobe National Park, home to the largest concentration of African elephant and a plethora of other wildlife. We provide quality activities at affordable rates - experiences of priceless value, on a budget! Enjoy exploring the park from the comfort of our specially adapted 4x4 vehicles and boats. 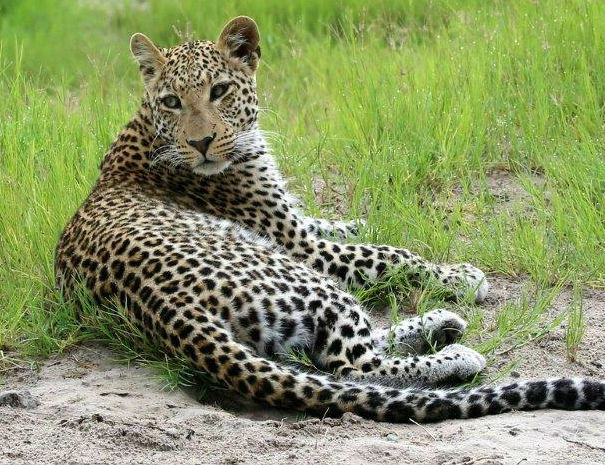 Enjoy two full days of activities and a night under the stars in the heart of Chobe National Park. 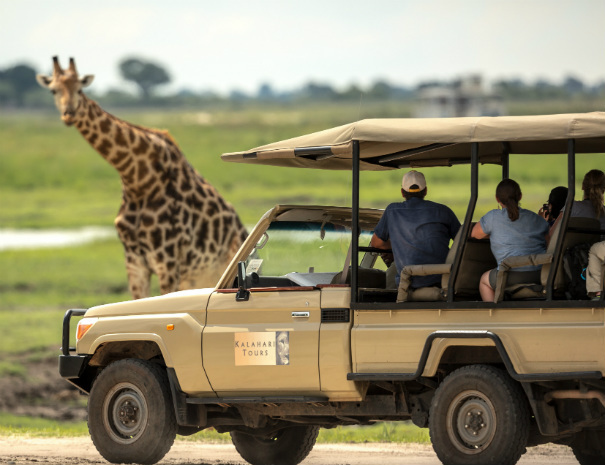 With collection available from either the Zambian/ Zimbabwe Border Post or Livingstone / Victoria Falls Towns, guests are transported to Kalahari Holiday Tours to register and to enjoy a light breakfast at Coffee Buzz, including muffins/scones, fruit, tea & coffee before the first activity. 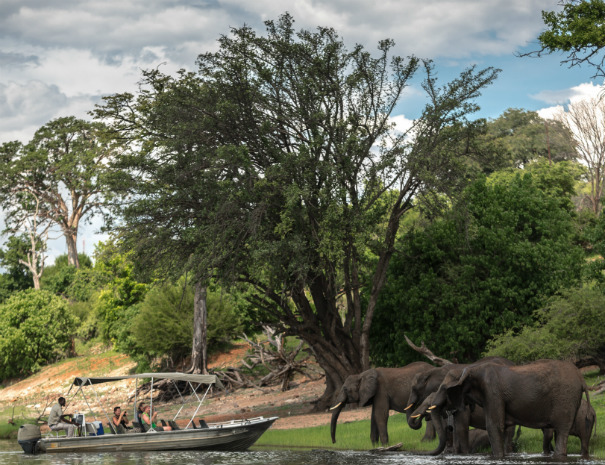 Board the boat and enjoy a 3-hour river cruise into Chobe National Park. Stop off at Coffee Buzz restaurant for a delicious meal, followed by last-minute shopping in Kasane. 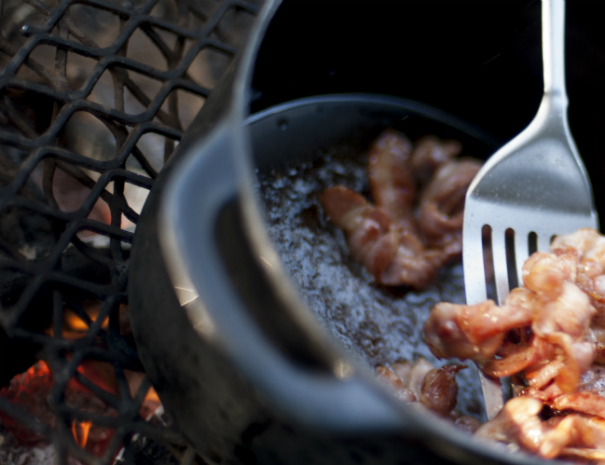 Head to Camp shortly after sunset for dinner around the camp fire, and spend the night under the stars. Wake up at dawn with tea, coffee and a light continental style breakfast. Head off on an early morning game drive. 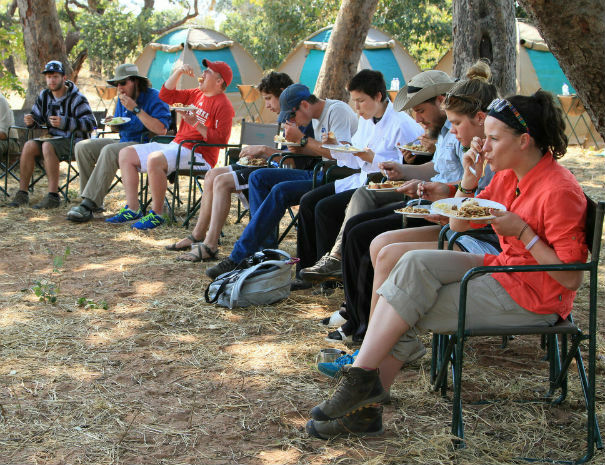 Return to Camp late morning for a delicious “bush brunch”, with time to then pack up. 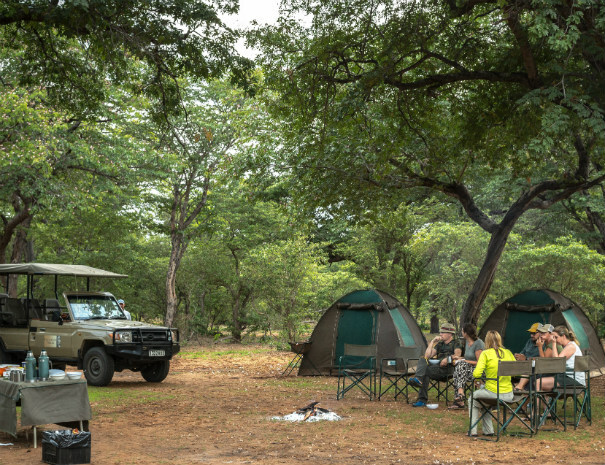 Leave Camp on a last game drive through the park. Leave the park and be dropped off in Kasane/Kazungula. 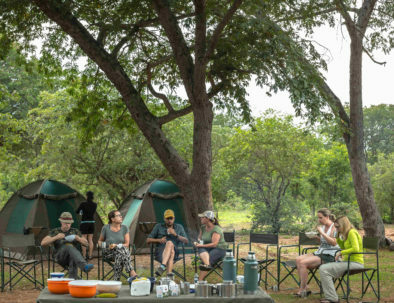 Choose from one of our alternative activities, including day trips and longer overnight camping adventures. 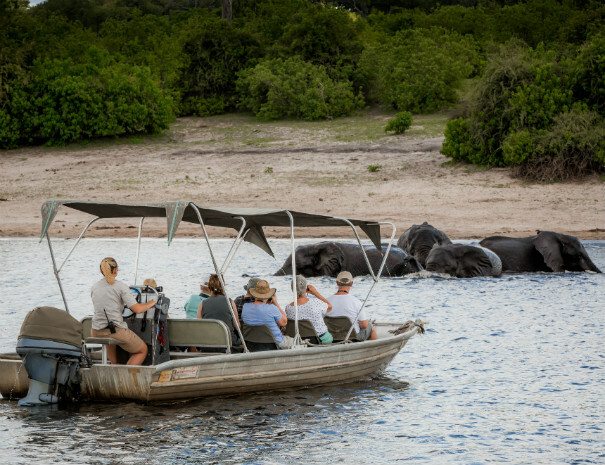 For visitors staying in Victoria Falls and Livingstone who are pushed for time, our Chobe Day Trip is a must! 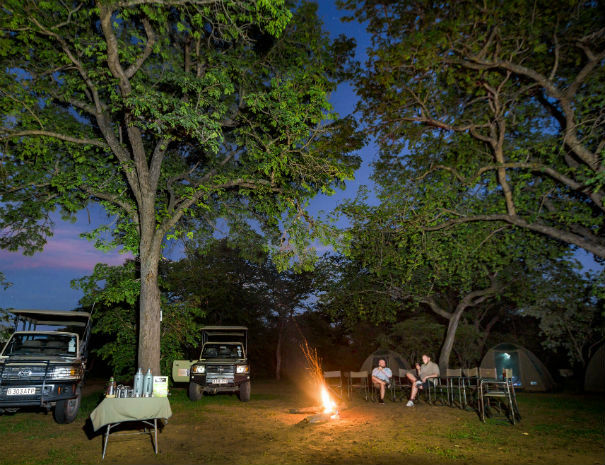 Enjoy a full day of activities in Chobe National Park followed by a night camping under the African sky. 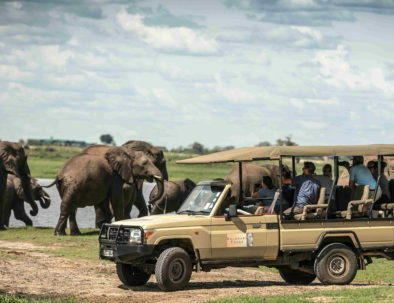 Explore Chobe with two full days of activities in the park and sleep restfully under the stars.